Joshua pulled up his shirt and put baby bear on his belly to “nurse baby bear”. Many years ago, Cliff bought me a set of Bean Baby bears, one pink and one brown, to represent me and him. Eventually Joshua took possession of the bears and they became his. 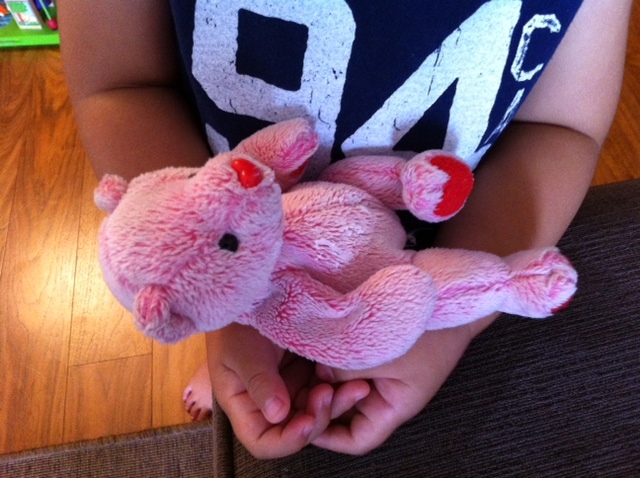 He calls the pink one “Angela bear”, and the brown one “Clifford bear”. For some reason, he spends way more time with the pink one than the brown one. 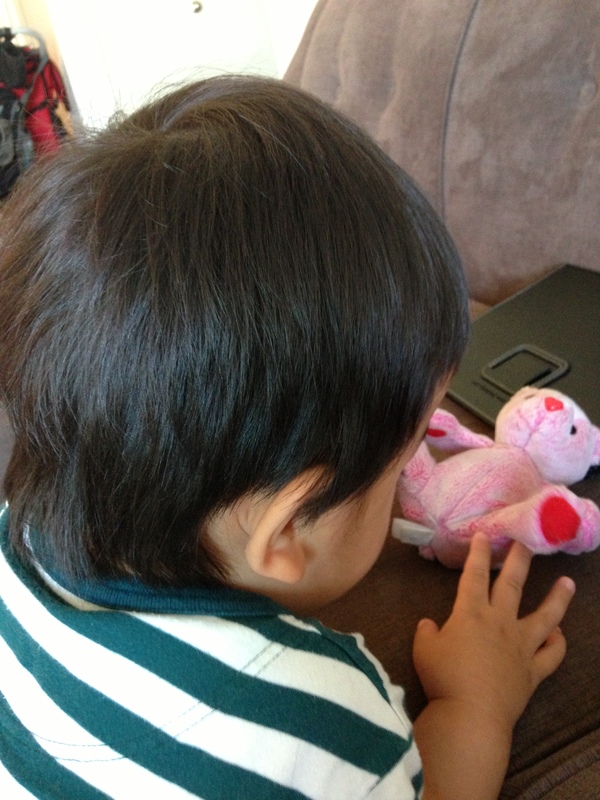 Lately, he started this thing where he calls the pink bear “baby bear”, and treats it exactly how I would treat Savanna. He would cuddle baby bear in his arms, put it on his pillow for naps, and give toys to baby bear to play with. 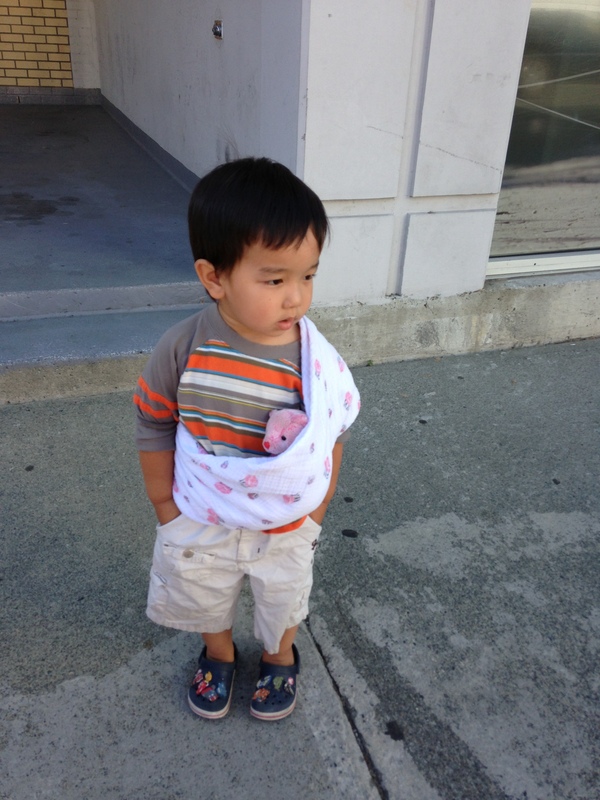 He tells baby bear not to cry, and he even shushes me if baby bear is napping. Here is a collection of iPhone photos I’ve snapped of Joshua’s interactions with baby bear. Checking baby bear’s diaper for poop. Bear buckled in the stroller, ready to go for a walk. Joshua put lotion all over the bear because he was giving her a massage. 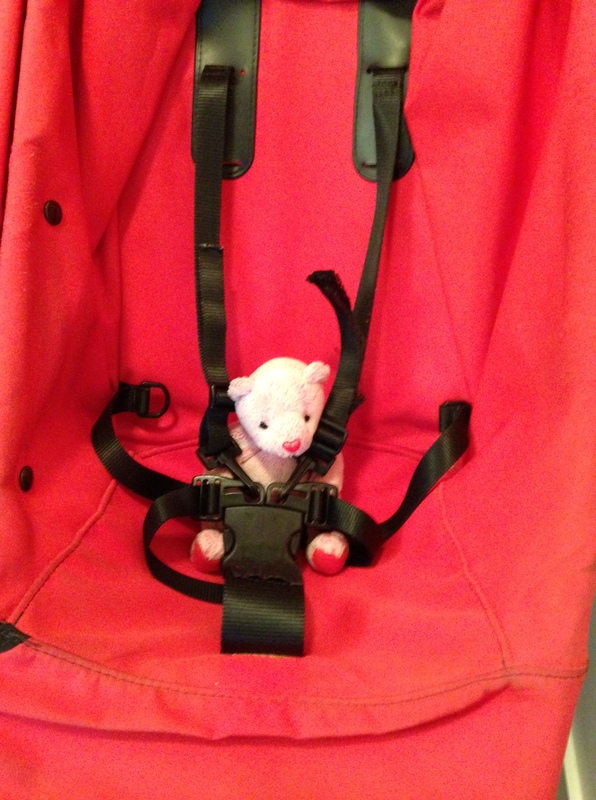 Taking baby bear out for a walk in the sling. Teaching baby bear how to walk. 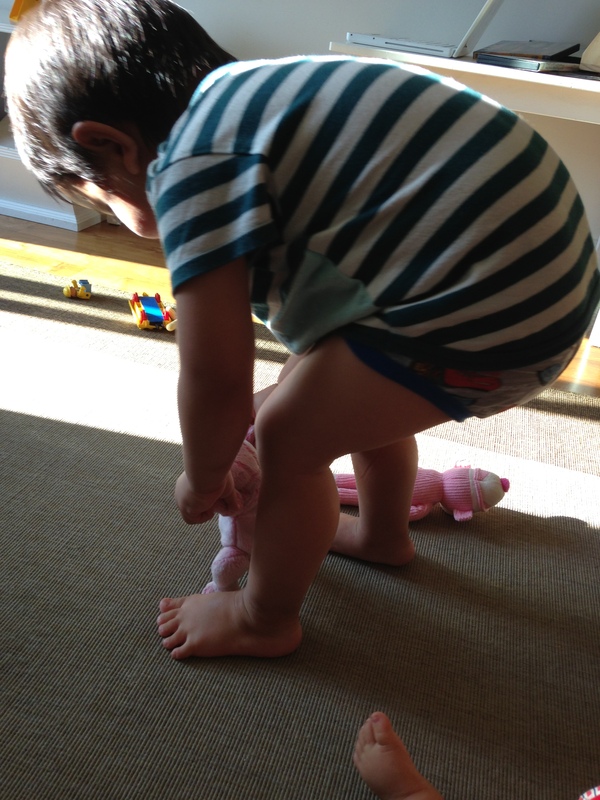 This entry was posted in Family and tagged baby bear, development, Joshua, nurture, toddler by angelasaito. Bookmark the permalink.